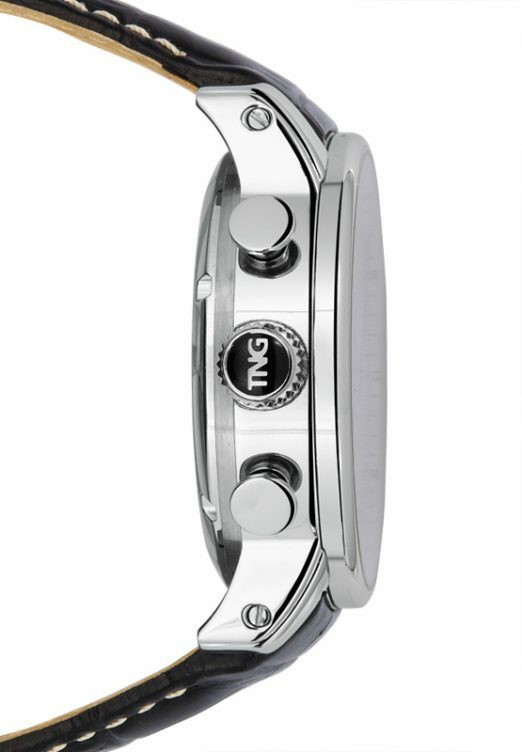 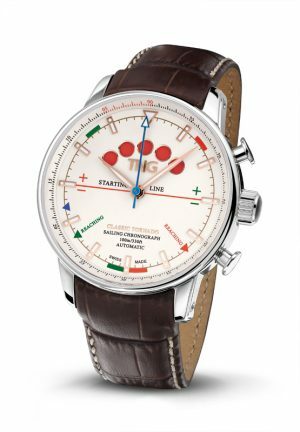 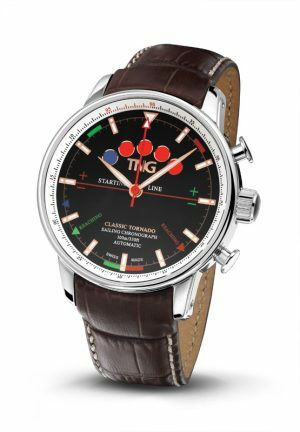 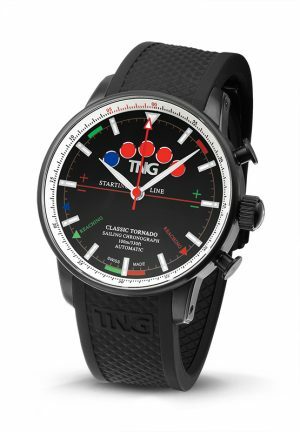 This TNG Classic Tornado Sailing Chronograph – TNG 10151A, a high-quality fully automatic sailing timer and exclusive limited-edition model, is our ‘Flagship’. 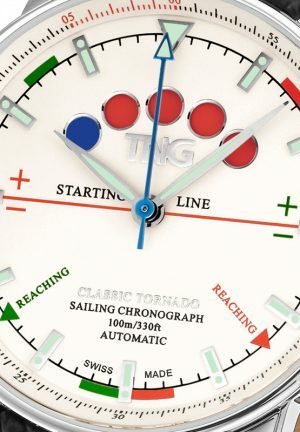 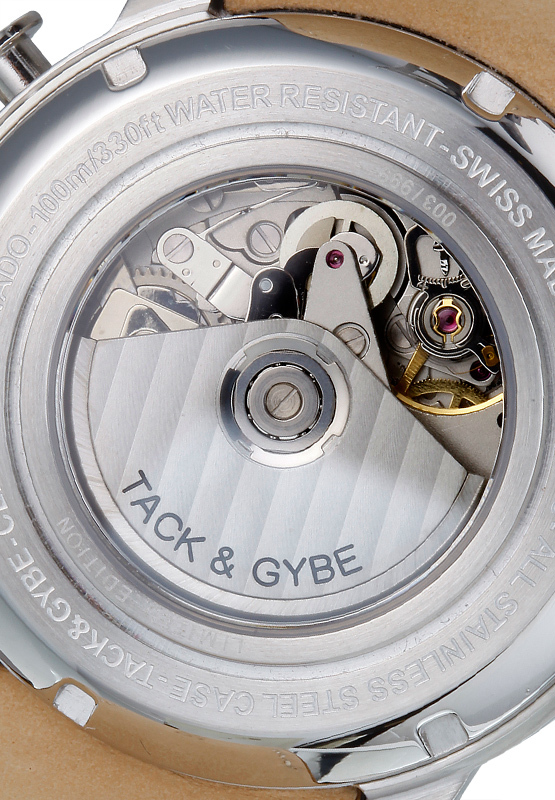 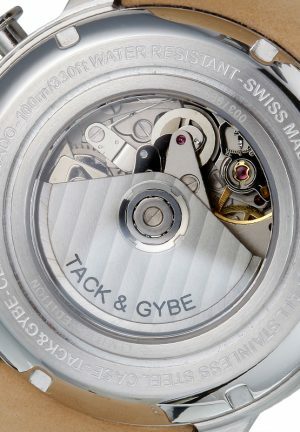 The Tornado contains a Valjoux 7750 timepiece, completed with a TNG-engineered module to drive a disk that shows the five dynamic dots. Each dot represents one minute, therefore this ultimate sailing timer is always ready for a five (or ten) minute countdown.